Take a deep dive and learn more about the issues that we counsel artists on every day. 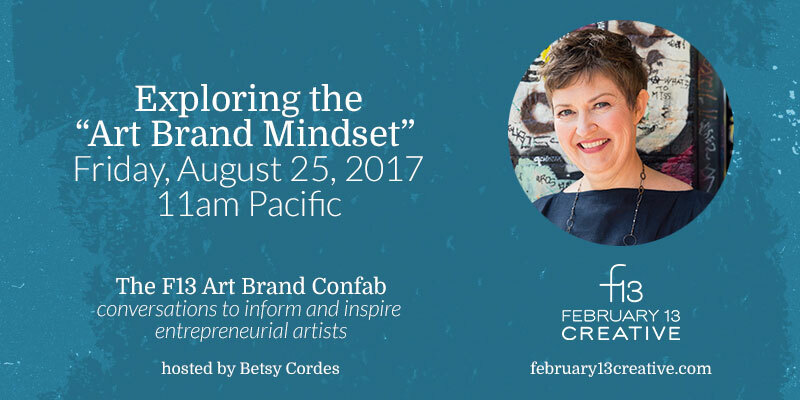 The F13 Art Brand Confabs are one-hour+ webinar sessions jam-packed with practical guidance on specific topics of interest to artist-entrepreneurs, from philosophical subjects like values and alignment, to nitty-gritty advice on negotiating better deals. On the F13 Blog, you'll find useful articles on a wide variety of subjects that matter to our clients, from the ins and outs of art licensing agreements, to how-to guides on navigating the public domain. The F13 Art Brand Confab: Exploring the "Art Brand Mindset"
The F13 Art Brand Confab: Artist Entrepreneurs: Ask Me Anything! Check out the full archives to see every past F13 Art Brand Confab. Want to hear about the confabs before they happen? Subscribe to the F13 newsletter! Visit the archives to read more from the F13 blog.